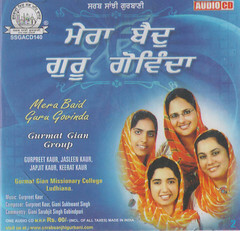 Raag Maru is 21st Raag to appear in the raag wise collection of Shabads in Sri Guru Granth Sahib Ji. The compositions in this raga appear on a total of 118 pages from page numbers 989 to 1107. Thaat: Khamaj, Jatti: Sharav Sampooran. Rishab is absent in aroh. Both madhyams, both dhavats and both nishads are used. 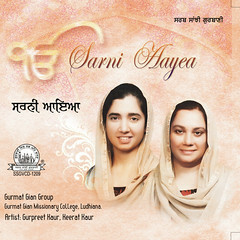 Singing time for this raag is sunset time. Pakar: Pa Ni(k) Dha Pa, Ma(t) Pa Dha(k) Ni Dha(k) Pa, Pa Dha Pa Ga, Re Ga Re Sa. 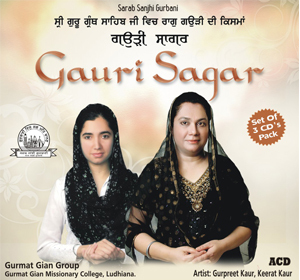 This Raag Maru is an aprachalit raag and no information is available in old books regarding this raag. Thus, people do have different versions of this raag. The one given here on this page is the one which was decided and accepted by various scholars who were part of Raag Nirnayak Committee setup to document the raags mentioned in Sri Guru Granth Sahib. Here I have given that particular version of raag Maru which has both the madhyams, both the nishads and both dhaivats. It wont be a surprise if you find another version mentioned in some books. And one more doubt maam how are the raags supposed to be approached while singing a shabad, is it the shabad which is important or the raag? Yes, komal dhaivat comes only in avroh. Shudh dhaivat is in both aroh and avroh. The usage of komal dhaivat is only in avroh that too in the swar sangati of M(t) Pa Dh(s) Ni(s) dh(k) Pa. This swar sangati depicts the whole concept of Maru. 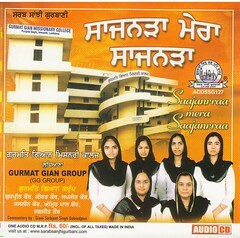 In Gurbani singing, it is very important that the composition and singing is done in a manner so that the presentation is Gurbani pradhan. 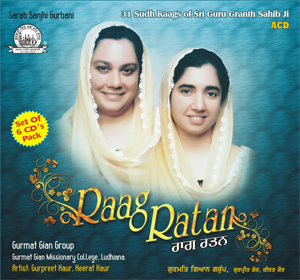 Raag has always to remain secondary and to be used as a vehicle to present the message of the Gurbani. Many of the ornamentations done in Shatriya sangeet should in my opinion, kept in such a way so that they do not disturb the flow of Gurbani. 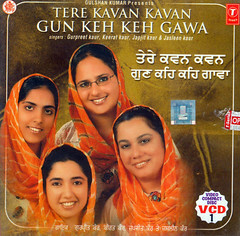 The basic point is here, we have to sing Gurbani in Raag and Not Raag in Gurbani.